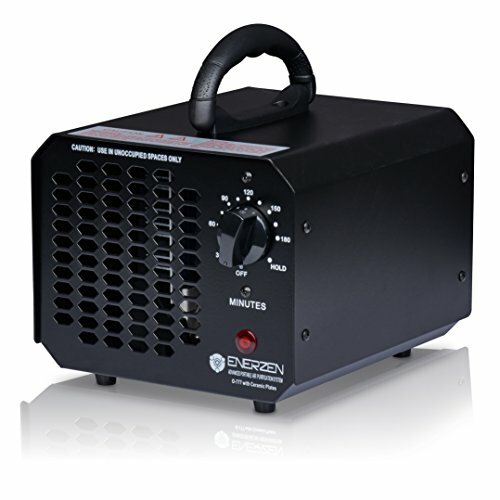 Higher powered version of our original ozone unit. This unit houses a significantly larger ozone cartridge and produces 6,000mg of ozone to destroy odors! 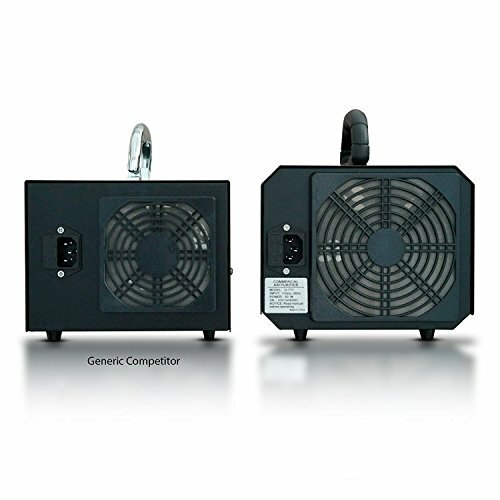 New Improved Larger Unit and Design - 6,000 mg of ozone production and a new larger fan produces more ozone and purifies more square footage. Don't let your lungs be the ONLY air purifier in your home! 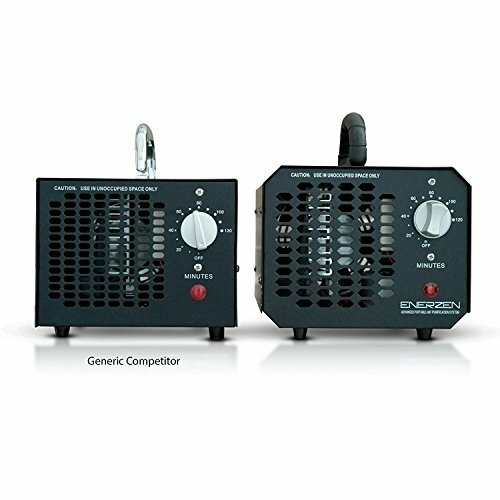 This industrial grade ozone generator/air purifier does not merely mask mal-odors like some air purifiers, it DESTROYS odors! 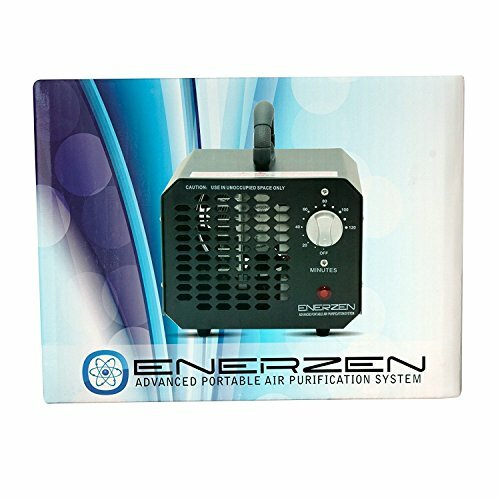 Utilizing activated oxygen (O3) technology, the Enerzen air purifier/ozone generator oxidizes and destroys airborne contaminants. What is left is a "fresh, clean spring rain smell" similar to the clean air smell after a rain storm (nature's ozone generator). 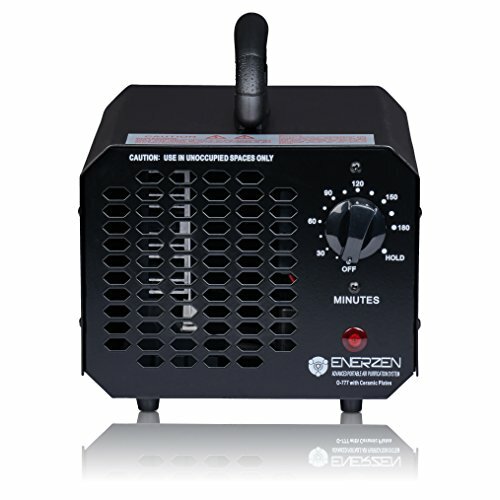 Over 6000 mg/hr of ozone produced removes odors, deodorizes, and freshens the air. 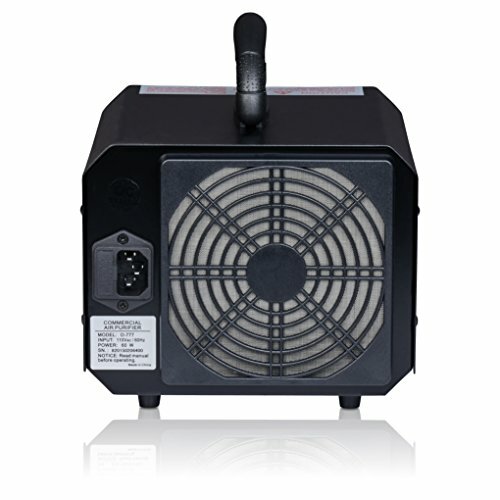 Power: 55W, 110V AC. Timer Function. Size: 8.75"(H) x 10"(W) x 7.75"(D). Satisfaction guaranteed: 30 days unconditional replacement or refund if you are not satisfied. Factory Warranty: 1 year. CE certified and approved (HBSC2013012307)!